Product #6215 | SKU IRG-101 | 0.0 (no ratings yet) Thanks for your rating! Hosa Guitar Patch Cable (1ft). 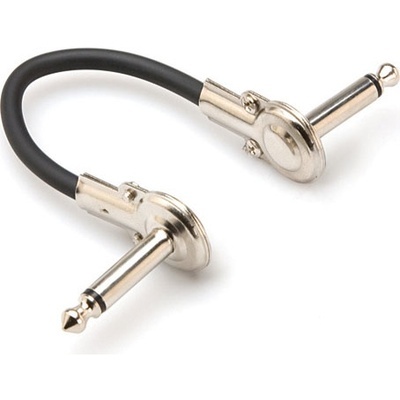 This cable is designed to interconnect electric guitar pedal effects. Low-profile, right-angle plugs allow close spacing of pedal effects on pedalboards. The cable features metal headshells and spring strain relief, and is ideal as a choice for stationary instruments, like keyboards.